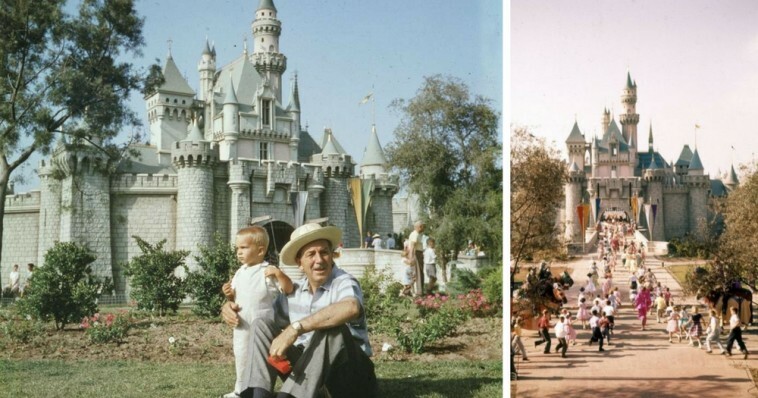 Rare Color Photos From Disneyland's Opening 62 Years Ago | Do You Remember? 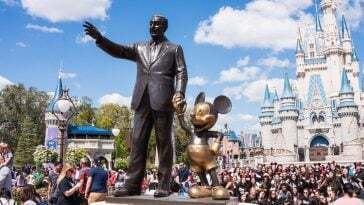 Disneyland, the park is known for its romantic proposals, synchronized family freak-outs and the largest cumulative theme park attendance in the world, opened 62 years ago Monday. 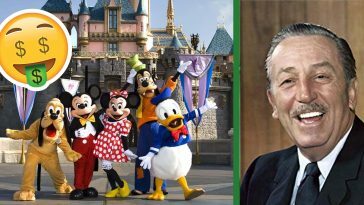 The idea for the theme park came from an epiphany Walt Disney had while visiting Griffith Park in Los Angeles. As he watched his daughters Diane and Sharon ride around the merry-go-round, it came to him: He would make a place where both adults and their children could play and enjoy themselves together. 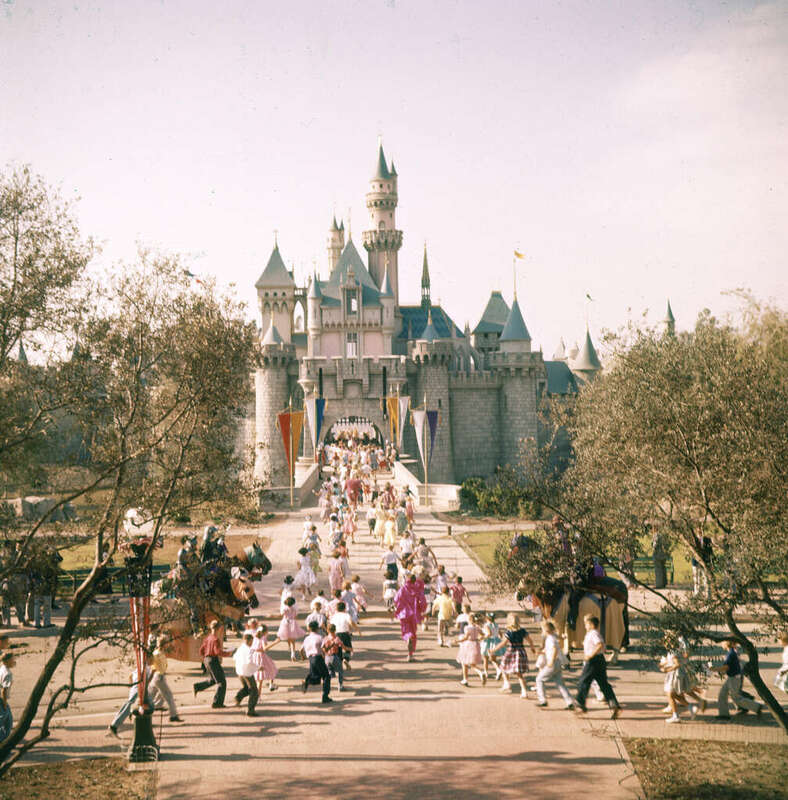 In its early stages, it was referred to as “Mickey Mouse Park.” Disneyland as we know it didn’t take form until much later; since its opening day on July 17, 1955, it has welcomed over 700 million guests. 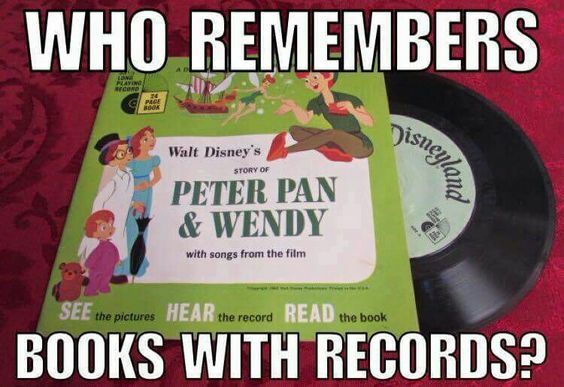 Construction took exactly a year to complete and cost $17 million. 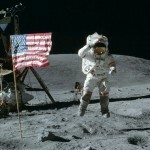 At night, the park houses over 200 feral cats that prowl around the park at night to stalk rodents. 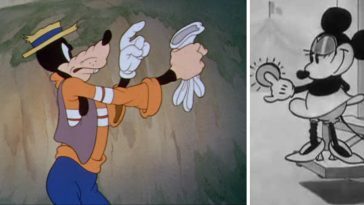 Check out these photos for some rare color footage of the park as it was, on its opening day, in 1955. 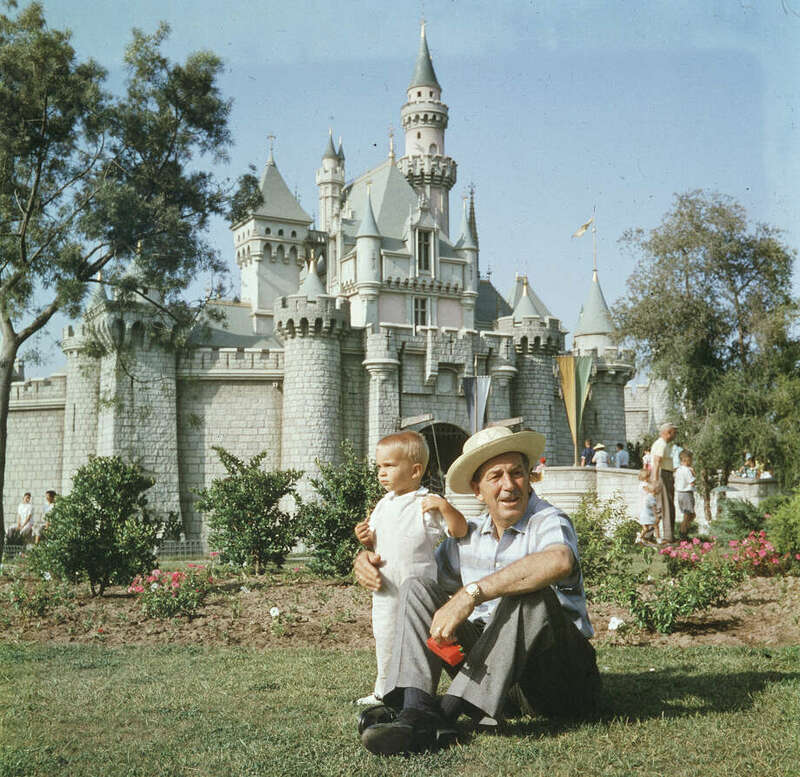 Walt Disney sits on a grassy lawn with his grandson at Disneyland in 1955. 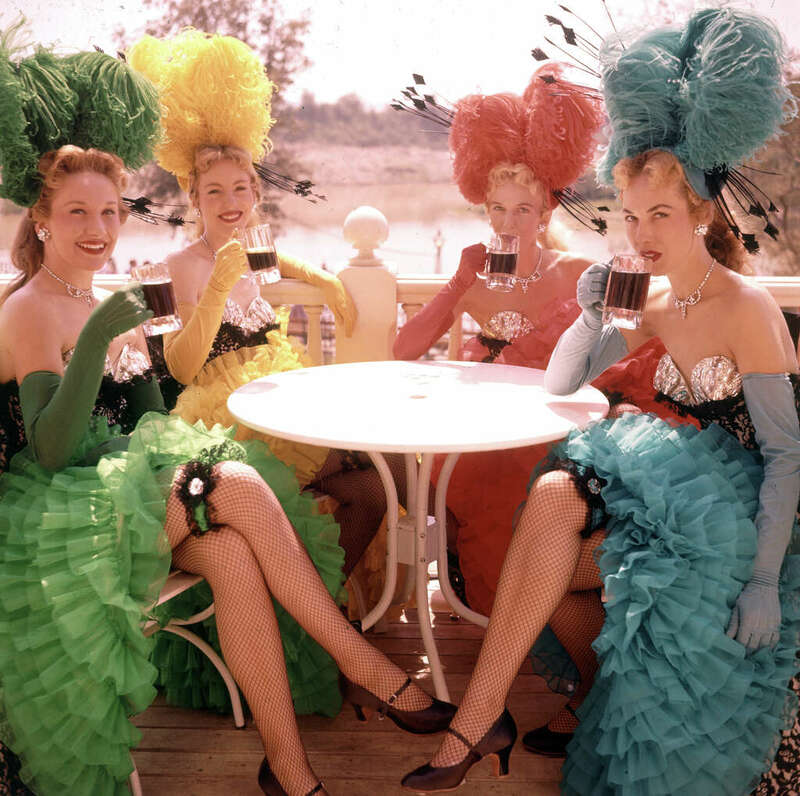 A quartet of showgirls poses for a LIFE magazine photographer on the opening day of Disneyland in Anaheim, California, on July 17, 1955. 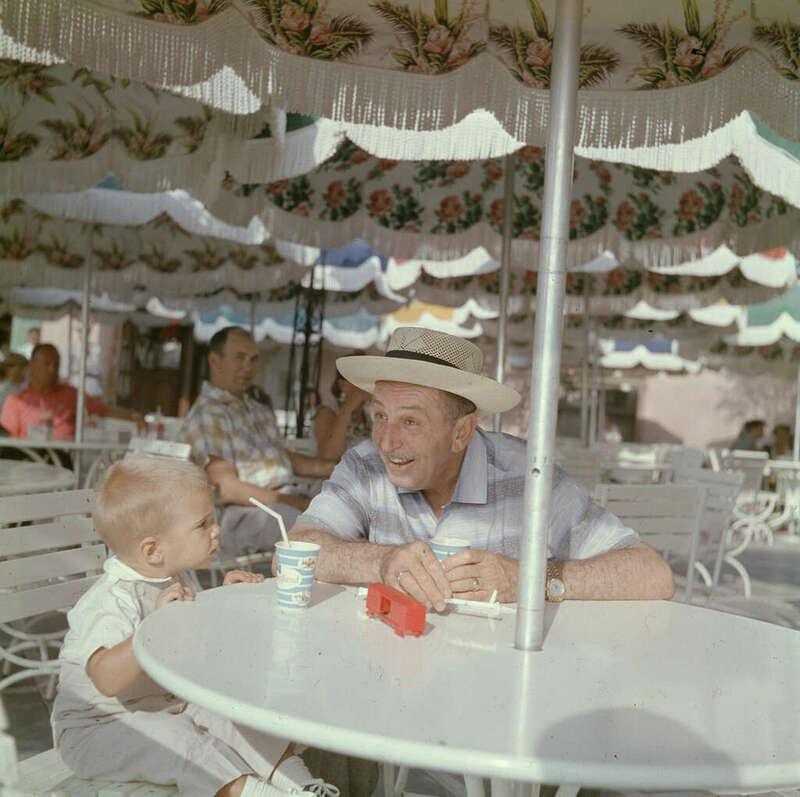 Walt Disney sits with his grandson at an outdoor patio table while visiting Disneyland in 1955. 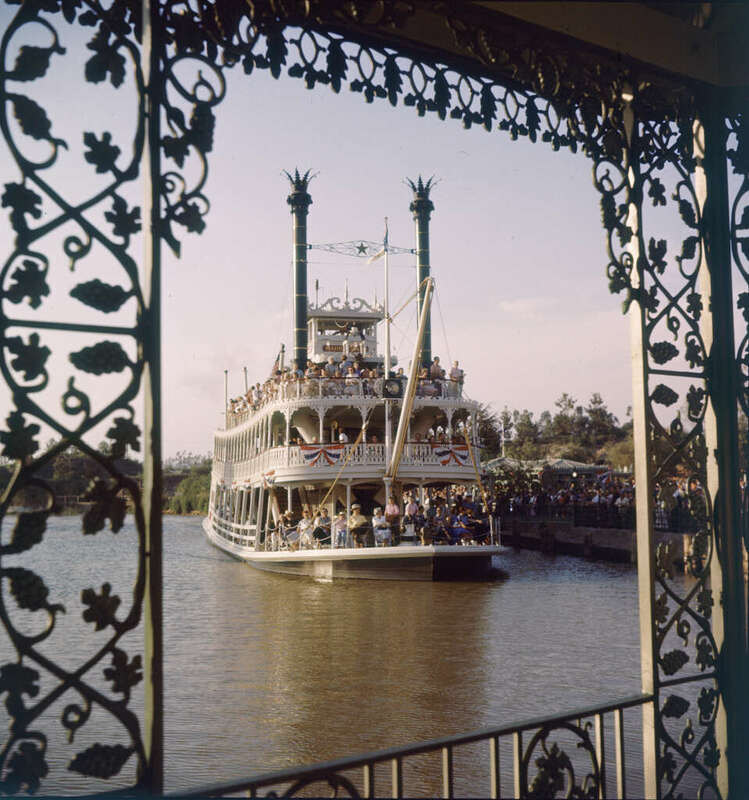 The Mark Twain Riverboat at Disneyland in 1955. 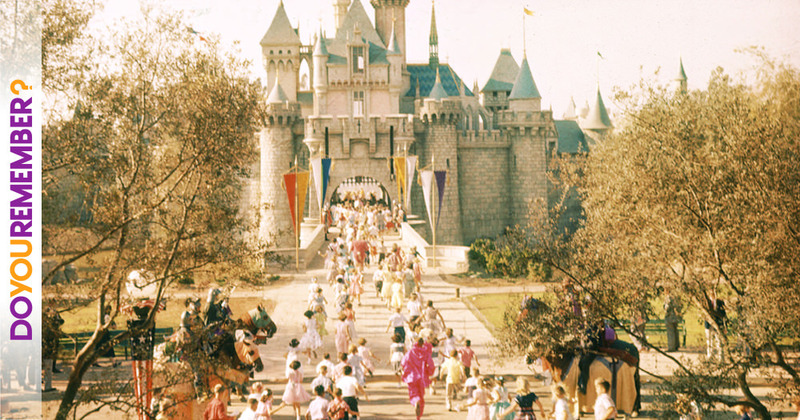 Kids run toward Sleeping Beauty Castle at Disneyland in 1955. 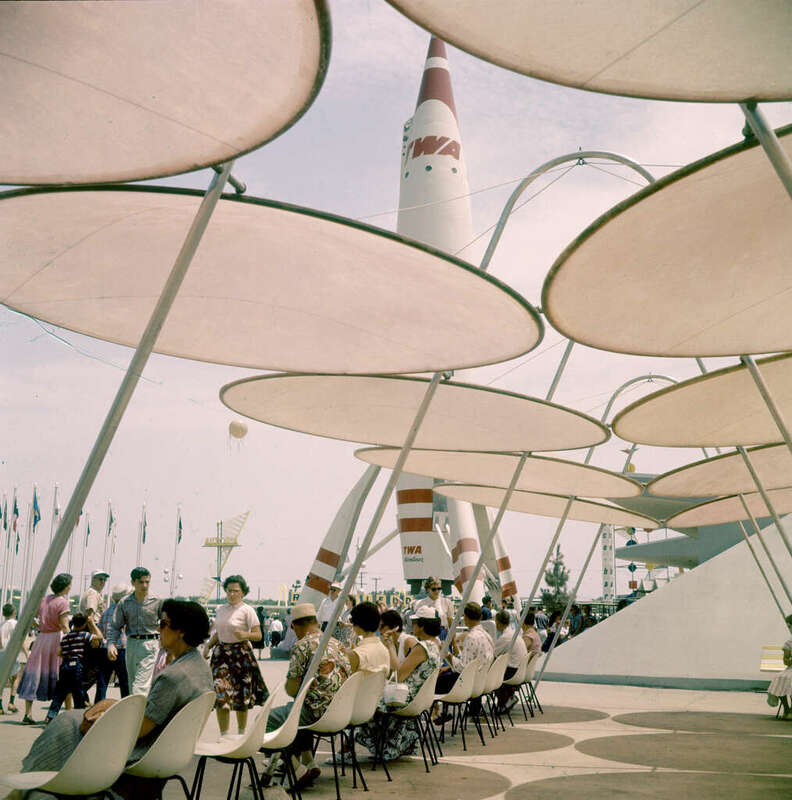 People resting by the TWA Moonliner rocket at Tomorrowland at Disneyland in 1955. 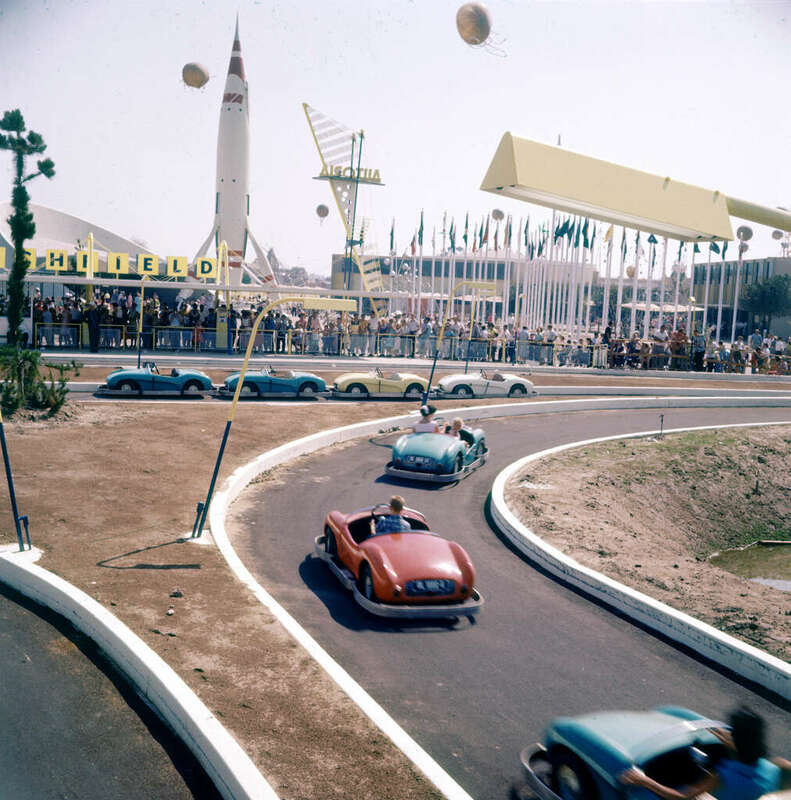 The Autopia cars at Disneyland weren’t always on tracks, as seen here in 1955. 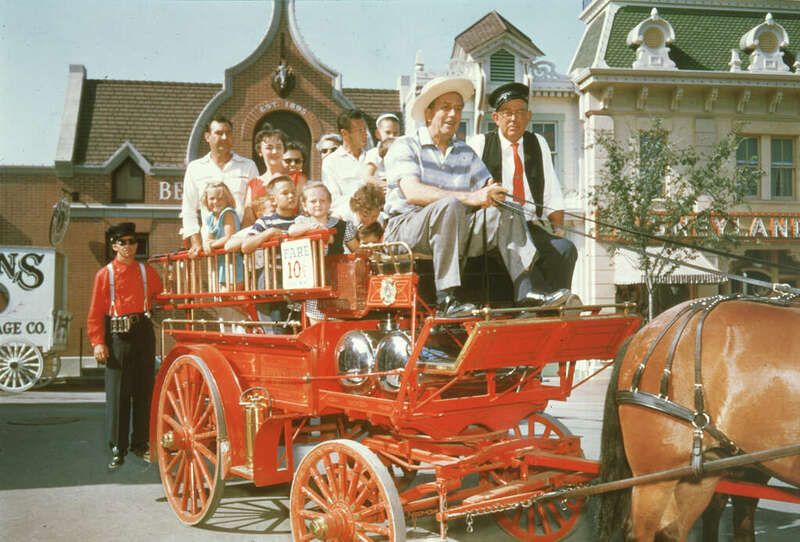 Walt Disney sits in the front of a red, horse drawn fire wagon, holding the reins, during the inaugural year at the park. 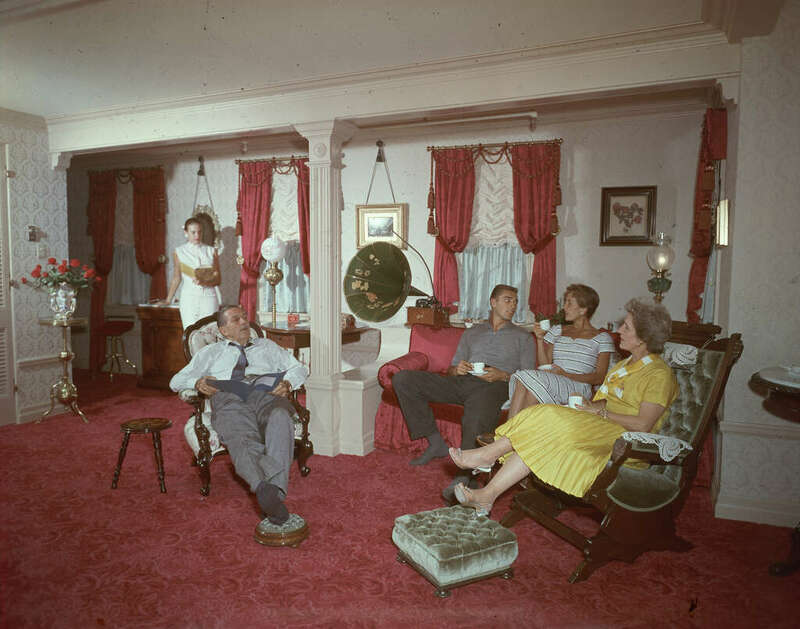 Walt Disney sits with his family while they relax at Disneyland. 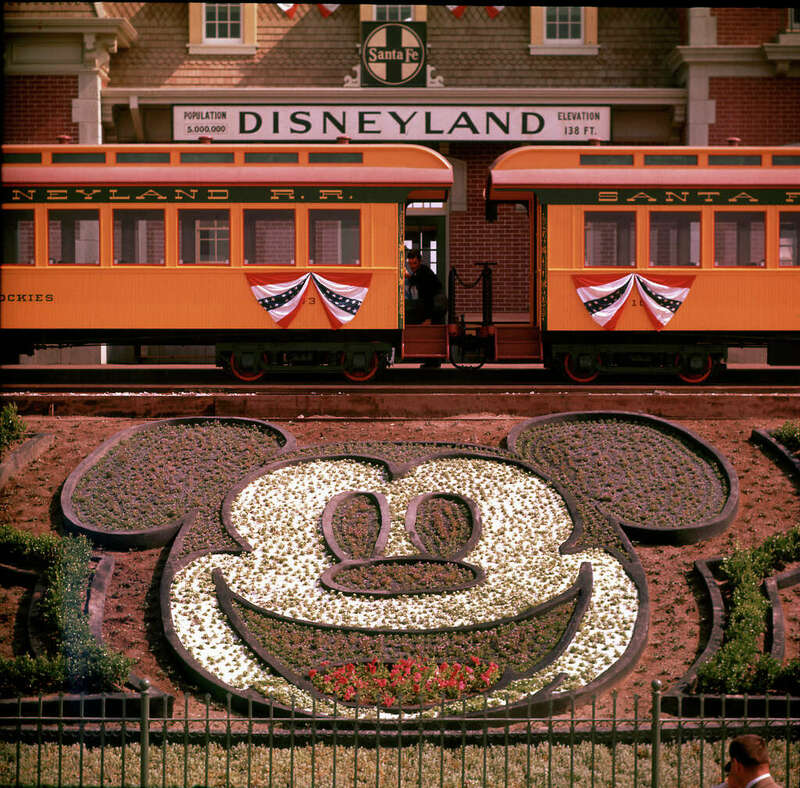 Planted flowers forming design of Mickey Mouse’s face at Disneyland. ‘Addams Family’: Where Are They Now?